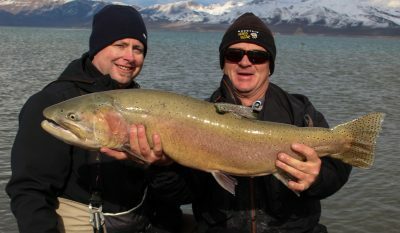 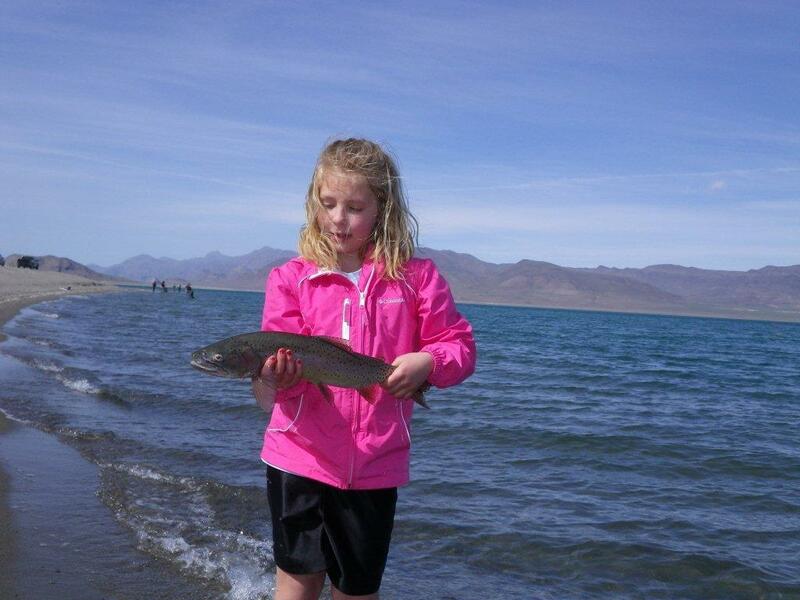 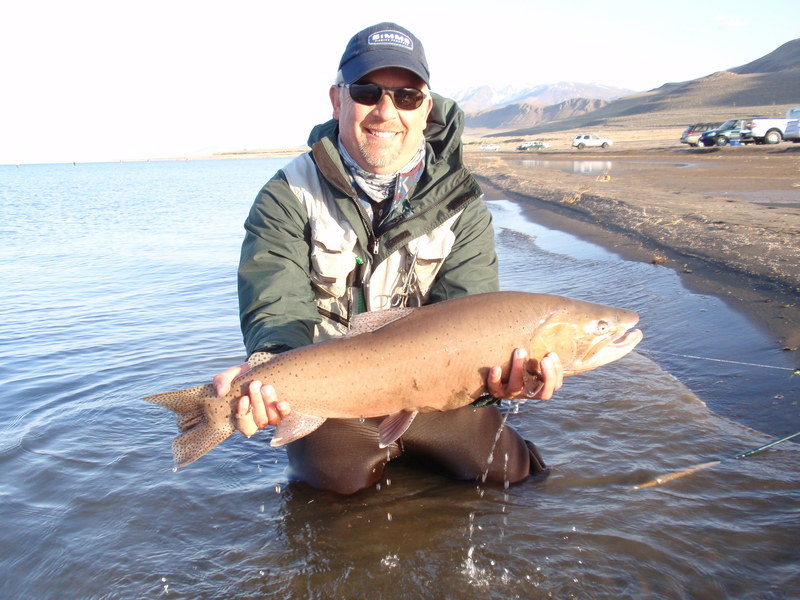 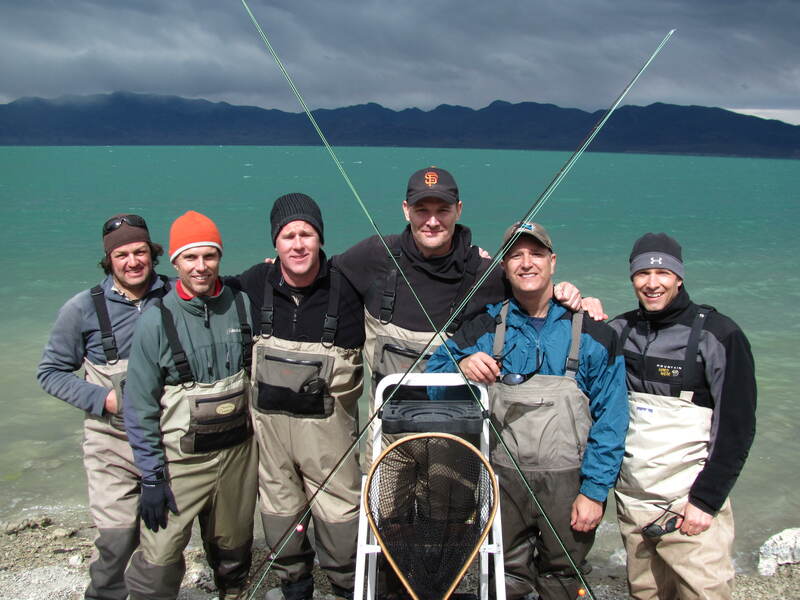 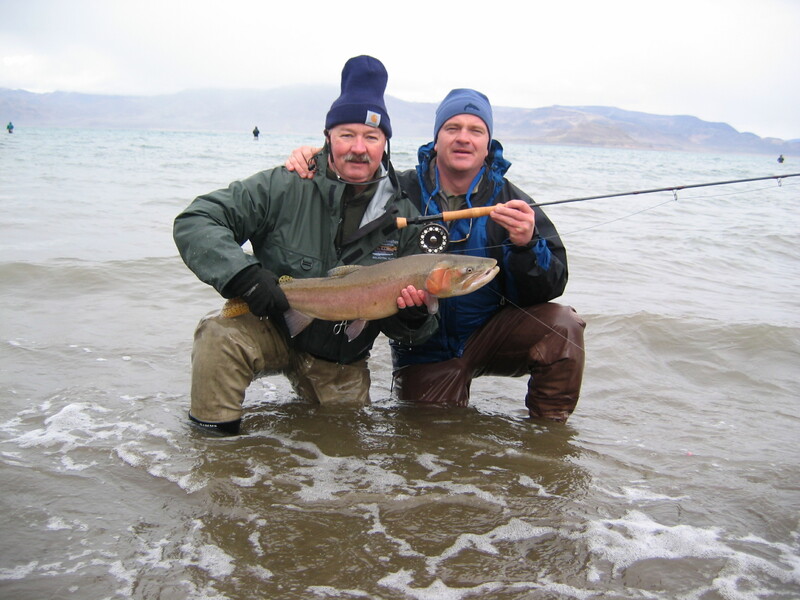 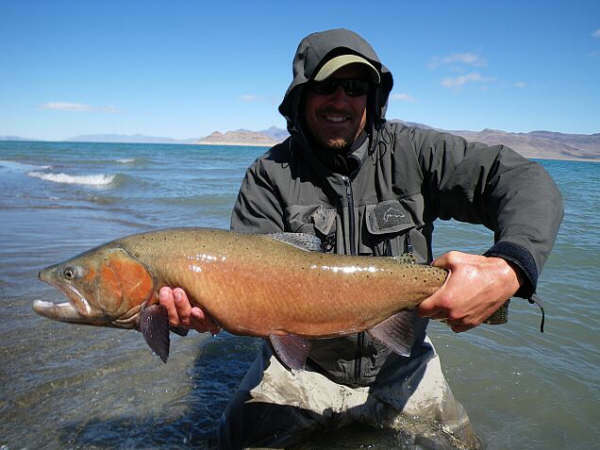 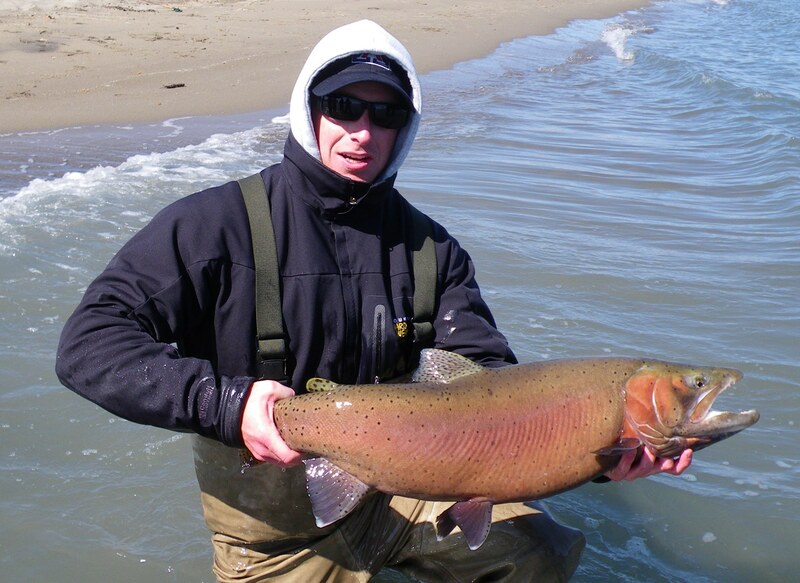 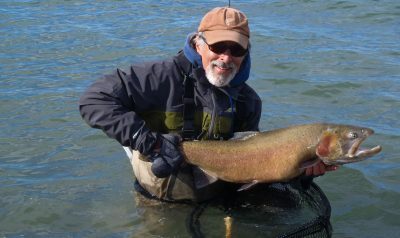 Pyramid Lake is one of the most popular still water fly fishing destinations in the world. 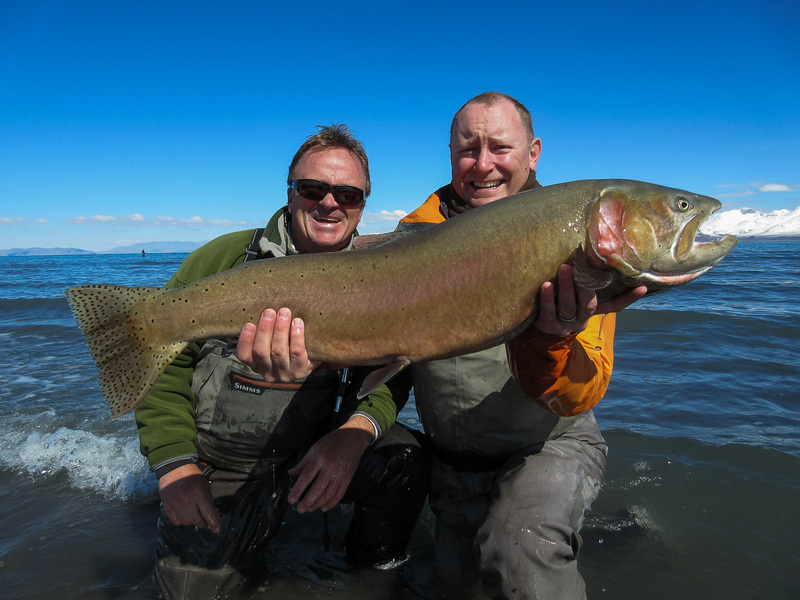 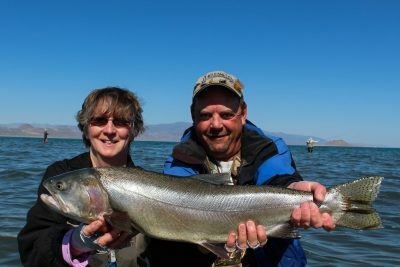 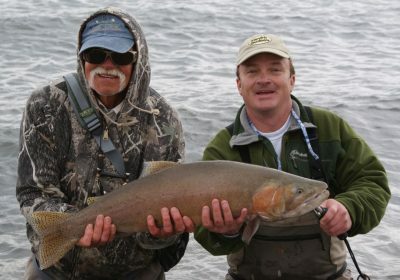 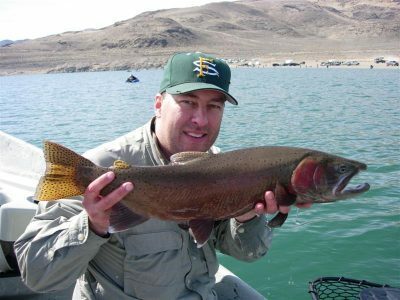 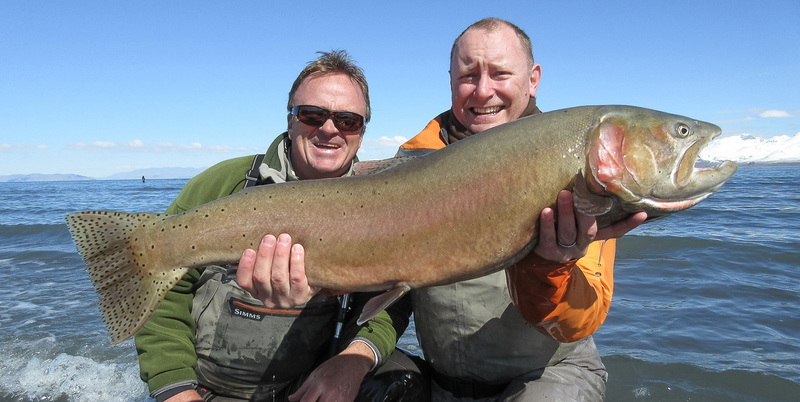 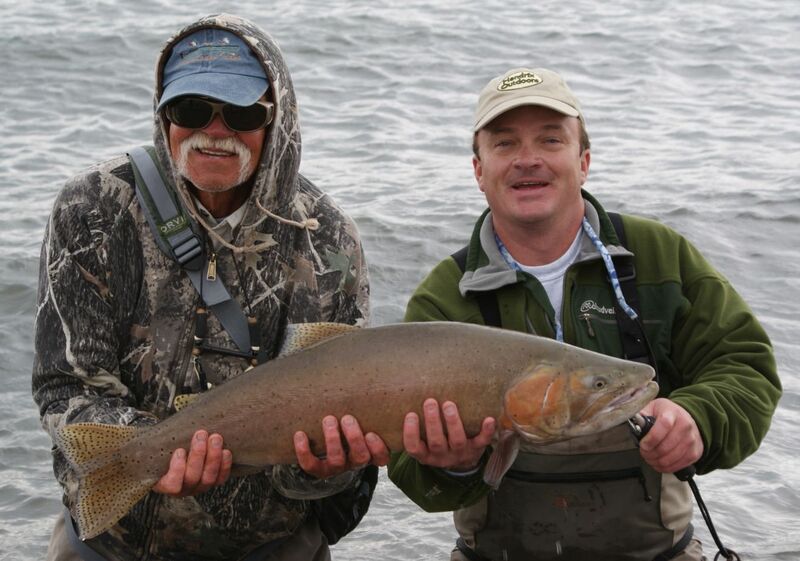 Huge Lahontan Cutthroat Trout roam its waters and anglers come from all over in pursuit of these giants. 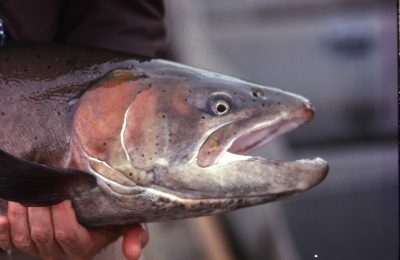 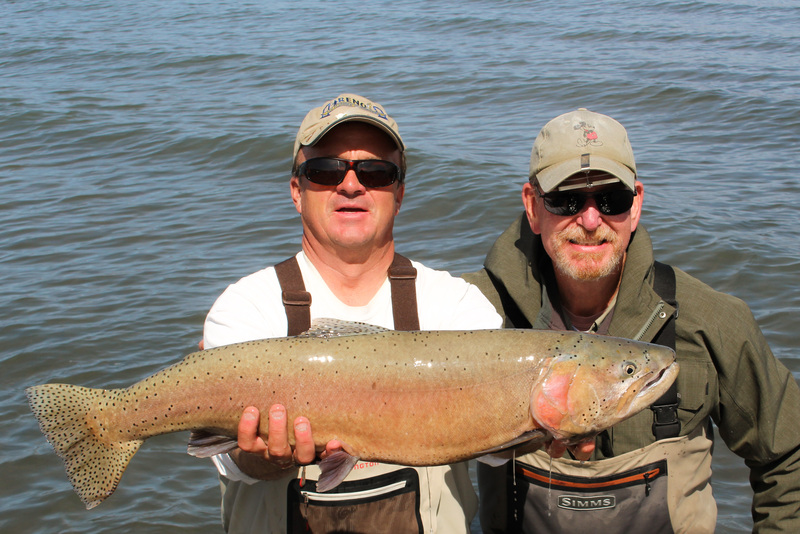 Being “Home of the World’s Largest Cutthroat Trout” adds to Pyramid’s popularity. 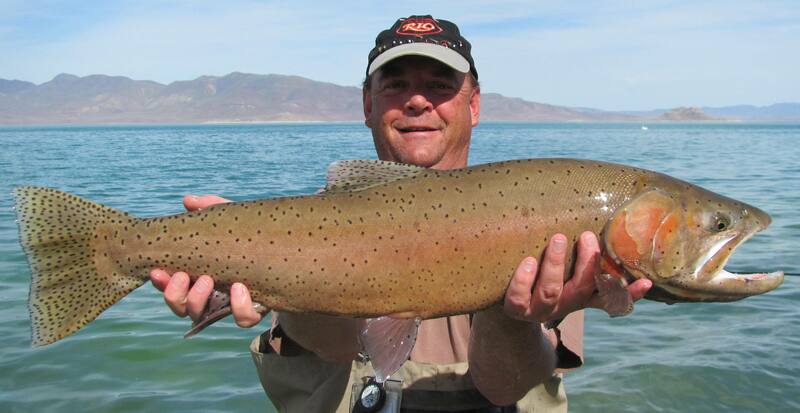 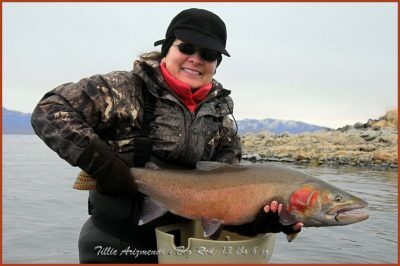 Trout in the 10 – 15 pound class are abundant and it is possible to catch a fish over 20 pounds. 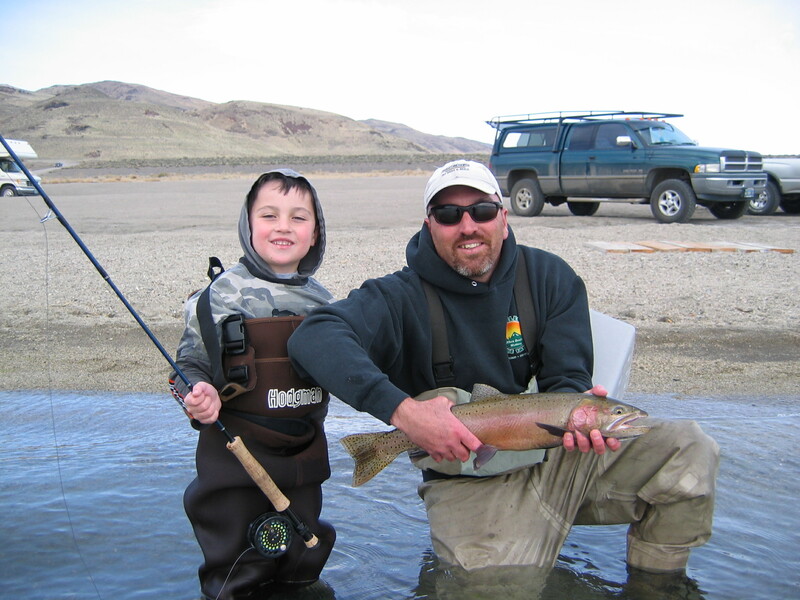 The average size Cutthroat is also outstanding at 20 – 22 inches. 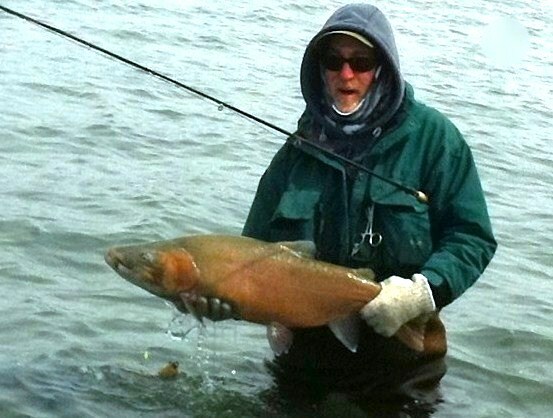 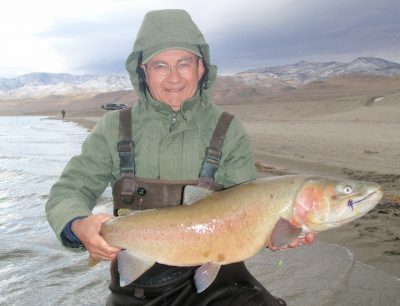 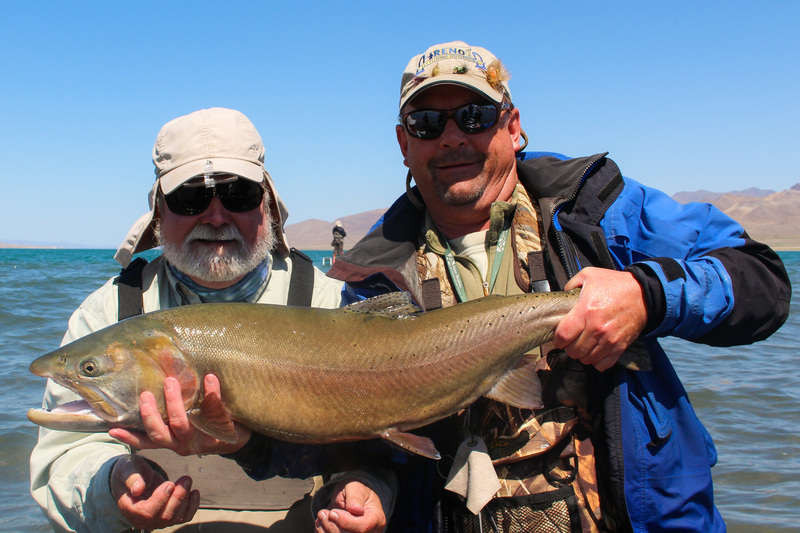 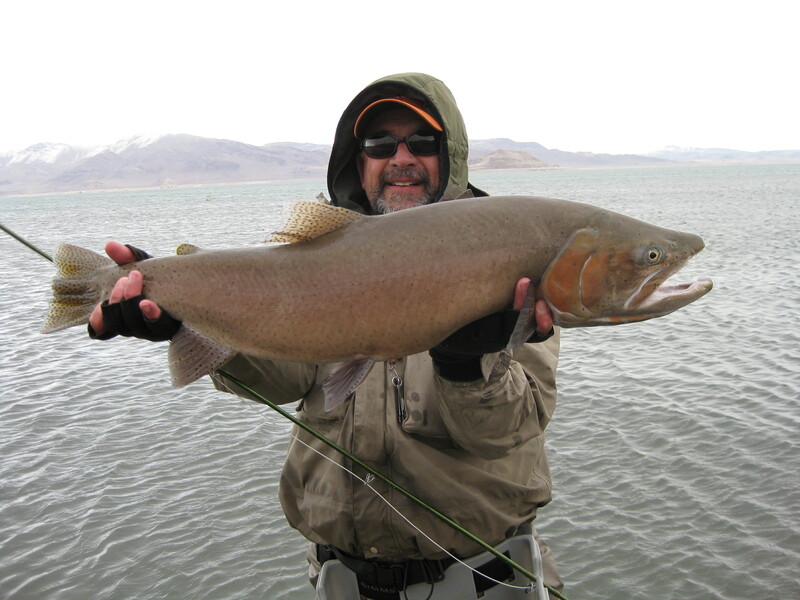 This puts Pyramid Lake on many angler’s “Bucket List” of places to fish. 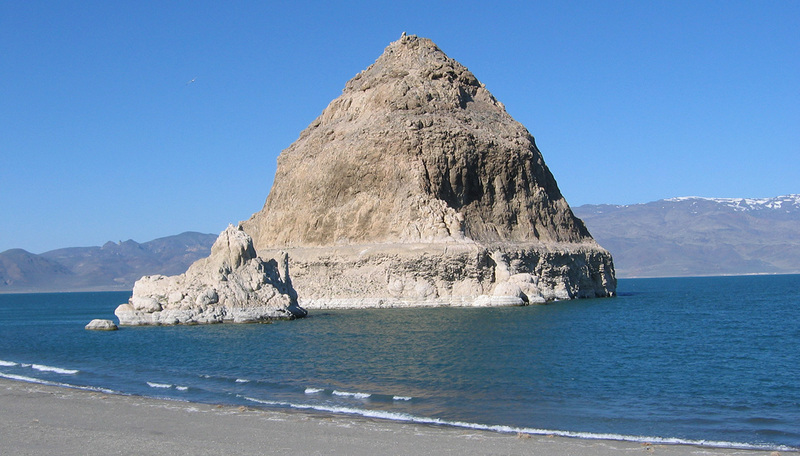 Pyramid Lake is located 45 minutes from Reno, Nevada and is also close enough to Lake Tahoe for a day trip. 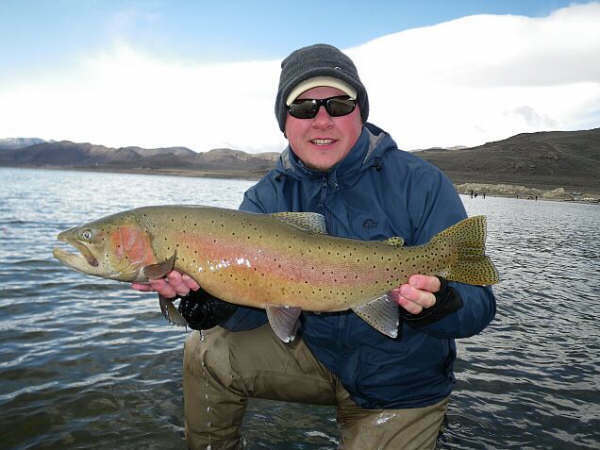 Whether you fly fish or prefer fishing with conventional gear, Pyramid has much to offer. One of the most unique parts about fishing at Pyramid Lake is that anglers wade out into the shallows, fish ledges and drop offs from the vast number of beaches that surround Pyramid Lake, all while standing on a ladder. This website contains an abundance of information about Pyramid Lake. Our goal is to help anglers plan their perfect fishing trip from start to finish – this includes everything from gear and guides, to when to visit and where to stay. We take pride in ensuring your trip is one you remember for years to come. 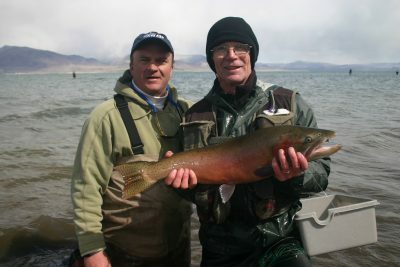 We have been using Balanced Leeches at Pyramid and other local stillwaters for years. 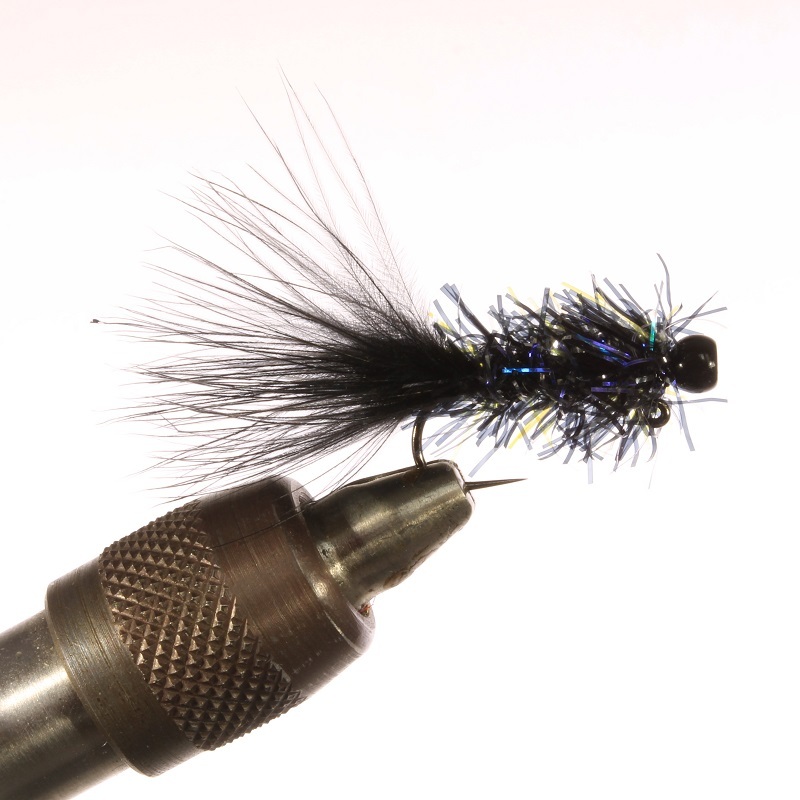 This is an awesome fly to use with an indicator system in stillwaters everywhere. 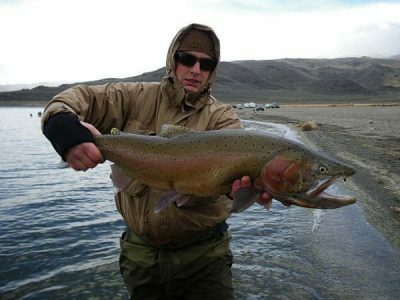 Originally designed by Phil Rowley the Balanced Leech is one of the most copied still water patterns in the past few years. 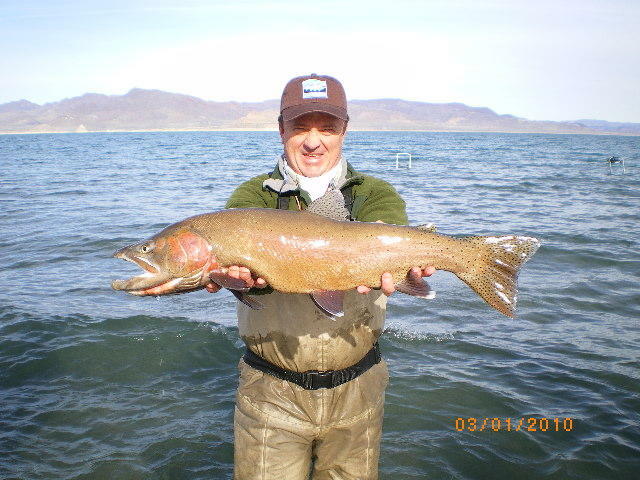 Our Pyramid Lake versions have caught many huge fish over the past couple of years. 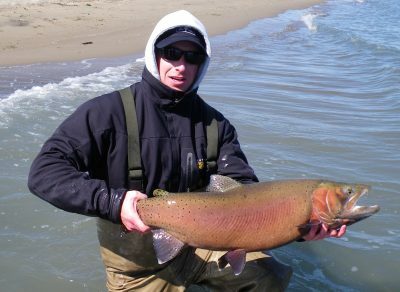 This is a great pattern for the fall and winter when trout are really feeding on Tui Chubs aggressively. 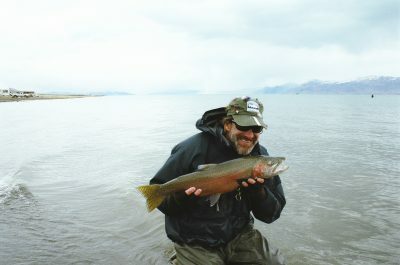 Tied on a size 8 Umpqua Jig Hook.